Bill Treasurer credits readers for giving back to organizations serving those with disabilities. Treasurer (right) presents Huesemann (left) with the donation for IWC. In just six short months, readers have helped me donate close to $5,000 to worthy causes. 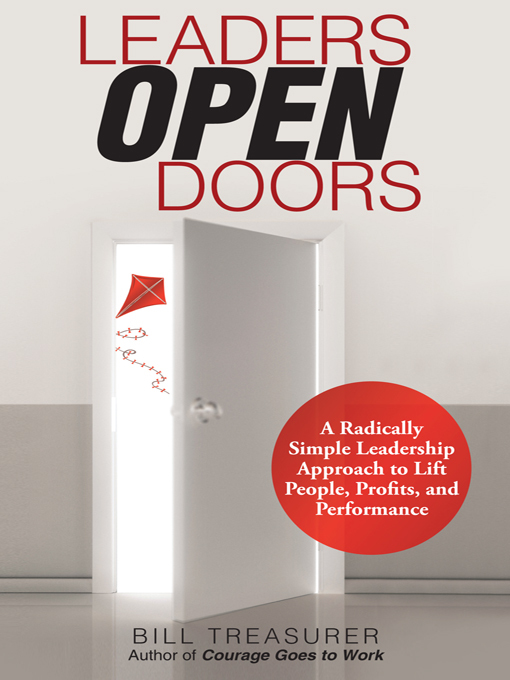 When best-selling author Bill Treasurer wrote his latest book "Leaders Open Doors," he believed it would be really important for the book to live its own message: leadership is about opening doors of opportunity for others. He decided that the best way to do that would be to donate 100 percent of the book’s royalties to worthy non-profits that are dedicated to opening doors for children with special needs. What he couldn’t have predicted is that the book became an instant bestseller on Amazon, and in the process generate thousands in donated royalties. The first two organizations receiving donations have been the Georgia Chapter of the March of Dimes and the Irene Wortham Center in Asheville, NC. “The March of Dimes helps prevent premature births, which is one of the primary causes of cerebral palsy and other disabilities. 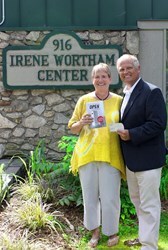 The Irene Wortham Center has been dedicated to empowering people with developmental challenges for over five decades. It was started by Irene Wortham, the first special education teacher in Western North Carolina. Both are perfect recipients for the royalty donation from "Leaders Open Doors" because they open doors every day for people with special needs,” says Treasurer. "Leaders Open Doors" is a book about how leaders serve us best when they open doors of opportunity that help us grow. The book has earned high accolades from Fortune 500 CEOs and best-selling authors. Renowned business author Chip Bell calls it “amazing and profound.” Famed human resource author Beverly Kaye calls it “a wonderful treat.” Laurie Ann Goldman, CEO of SPANX, a women’s shapewear company, calls it “richly entertaining” and “to-the-point.” Not surprisingly, the book currently holds a 5-Star rating on Amazon with over 50 stellar reviews. Author Bill Treasurer is the founder and Chief Encouragement Officer (CEO) of Giant Leap Consulting, Inc., a company that is on a mission to help people and organizations be more courageous. In addition to "Leaders Open Doors," Treasurer is also the author of "Courage Goes to Work," an internationally bestselling book that introduced the concept of corporate courage-building. He is also the author of "Courageous Leadership: A Program for Using Courage to Transform the Workplace," an off-the-shelf training toolkit that organizations can use to build workplace courage. Bill has led courage-building workshops for, among others, NASA, Accenture, CNN, UBS Bank, SPANX, Hugo Boss, Saks Fifth Avenue, and the US Department of Veterans Affairs. A sought after speaker with corporate and non-profit organizations, in the coming months, Bill Treasurer will deliver keynote talks at Human Capital Institute's Employee Engagement Conference, the Western North Carolina Health Network, American Society for Training and Development (ASTD) Area Chapter conference as well as presenting a Leadership seminar with The Kevin Eikenberry Group.